Recently, we’ve been looking closely at links between digital inclusion and libraries. To help us understand a little bit more, we hosted an ad hoc workshop which brought together our charter signatories and representatives from organisations such as Samsung and IBM. William Sieghart, who is leading an expert panel and producing an independent report on the public library service in England, presented his views on the future of libraries and this kicked off the afternoon of discussions and workshopping. The main focus of the afternoon was to share ideas and gather more information about the benefits of wifi in libraries and to scope out potential commitments from our partners. We asked attendees to think about what their organisations could offer and make suggestions about how to improve libraries, specifically under the following headings: training provision, upskilling staff, co-location, resources and publicity. We know there are many barriers that are stopping people from getting online. Having the right skills, confidence and motivation are all issues which for some can be a bigger barrier than lack of wifi or access. However, the impression of the day was that libraries could be instrumental in helping people get online and we need to help them do just that. This doesn’t necessarily mean that wifi is appropriate for all libraries. In some cases, reasons such as lack of space in smaller libraries contributes to wifi causing more problems than it solves. There are of course practicalities that need to be worked out, which we were able to explore further while visiting a number of libraries in London and East Sussex, however there are a wide range of benefits that wifi in libraries bring and these are more important. We found out a lot of very interesting and useful information while visiting four different libraries and we will post a more detailed look at some of the benefits, drawbacks, and user stories of wifi in libraries very soon! I take it you are talking about this report. 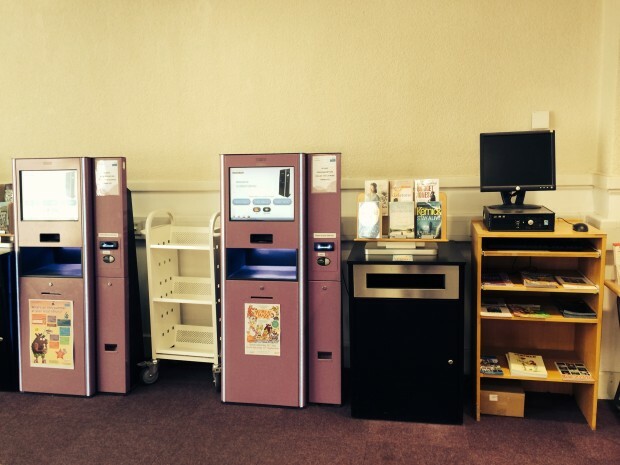 https://www.gov.uk/government/publications/an-independent-review-of-e-lending-in-public-libraries-in-england which is very good. One thing which would be very useful at this time would be to have a survey to find out which online services would provide reticent users with the motivation to make an effort. So far we have the view from the top down. i.e. 25 exemplar services that will save lots of transaction costs, while saving civil servants from being reduced to being tellers. What we DO need now is the bottom-up perspective. i.e. which services, if they were provided, would have a potential user wanting to undertake learning to use them. Obviously we want to make the institution which provides online services as ubiquitous as possible. We also want devices, and services, which are as user-friendly as possible. So gaining access in any physical public place is a part of that. Post offices, citizen advice bureaus, libraries, etc. These institutions all have a part in this development. But so far as those motivations which will have people WANTING to learn, we have no evidence.